I was first introduced to the KingSound’s personal audio incarnations at local Chicago Audiophile Society meetup tucked into the back room of retailer Toska Audio. The electrostatic design they utilize is made up of the stuff from the ultra high end of the hobby, usually inhabited exclusively by the Stax brand. 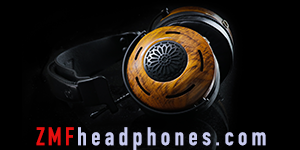 While the company’s 009 model headphone has been oft heralded as the best, the spicy price point keeps it out of the hands of many mainstream hobbyists. Now, I will just cut straight to the chase on this one. I was immediately impressed by the sound I heard that fateful day, but I was even more impressed by the extremely competitive price of this new electrostat. While Stax could run you around $5k for the 009 and easily another $5k for proper amplification, the H-3 by KingSound runs a mere $875 on [Moon-Audio.com] and another $625 for the solid state M-10 matching amplifier (discounted together for $1,250). 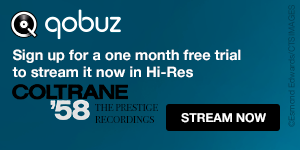 The now-discontinued Sennheiser Orpheus could be considered another entry in the ring, but the limited supply has now pushed the collectors demand for the product above its $16,000 initial asking price. Now where most hobby purchases over a grand may have a hard time getting the term “value” to stick to them, the evidence in this case feels overwhelmingly positive. 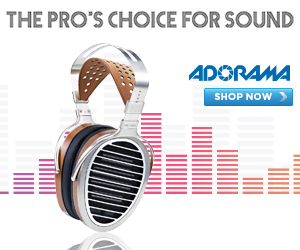 So where does sound quality fall? The overall detail level is easily on par with the $1000+ range. Vocal presence feels surprisingly inviting while still keeping a whisper quite noise floor and finely tuned articulation within the midrange. The H-3 manages to convey that ever-so-subtle mouth noise that precedes singing passages and start/stop moments throughout a song. This granular information is presented in full view along with excellent timbre and balance moving into the treble. I found the high frequencies from the H-3 to be very even handed and leaning very hard on my EQ preferences for both quality and quantity. It felt right at home next to my reference pair of Audeze LCD-3s, with a slightly laid back extension compared to the new LCD-X’s (with Fazor technology). Balanced and fair, the KingSound excels at classical and jazz genres, strings sing and brush strokes come alive. High relative dynamics and a fine black background add to the already stunning dimensionality thanks to the impressive sonic resolution. The ascetic design of the ear cups has that “luxury goods” look and the caliper pressure of the headband was significantly less than most headphones, picture-perfect for my head. Some listeners may find these a little loose-fitting by comparison, but everything throughout my critical listening stretch felt just right (and quite a bit above average) for my tastes. The overall weight is much lighter than most planar magnetic headphones on the market and feels quite tolerable for long listening sessions. The two-piece headband features a comfortable extendable padded band that acts as a length adjuster for different sizes. In addition to the solid state M-10 amplifier, KingSound also manufactures a tube version called the M-20 for $1,800. I have auditioned both amplifiers and my preference actually leans more towards the less expensive M-10 I reviewed here with the H-3, but those looking for a warmer tube sound may want to audition the 20 alongside the 10 to draw their own conclusions. The M-10 itself offers a pair of single ended analog inputs and also sports a pair of RCA outs as well. 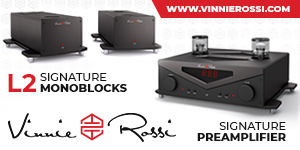 The amp is analog only (no internal DAC or digital inputs), but includes an on/off bass boost switch. The amplifier is intended to be vertically placed on a surface. The review gear I received had a tendency to get a bit hot at the top of the unit, right in-between the northern-most panel and the volume knob. The bottom end of the casing remained cool to the touch. The connector for the headphone is a unique 5 pin arrangement that is similar to the Stax brand of headphones. Reports of compatibility with the popular amplifier line circulate, but KingSound does not endorse the usage of the H-3 headphone with any other amplification than the two it currently manufactures. 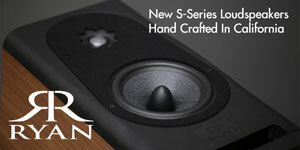 This exclusivity makes it a little difficult to properly ascertain the M-10’s contribution to the overarching H-3 sound. But given the already stellar output of the duo, my inclination is toward the highly positive (rather than a constrictive performance) especially when compared to its tube counterpart. The overall output with the M-10 should satisfy even the hungriest of the volume shredders. I could find normal listening volumes under 9 o’clock and was able to tap into my own personal loudness wars around noon on the dial. After fairly long listening sessions I found myself keeping the bass boost off rather than opting in for the additional supplement. The add-on in the low end isn’t one of those overkill type of boosters, but more of a nice subtle to mid-type presence. This presence makes itself known more in the mid bass substance, providing more moving bass guitar scale notes than a low end push on the toe end of things. No product is without its drawbacks, luckily the tradeoffs for the H-3 and M-10 are few. 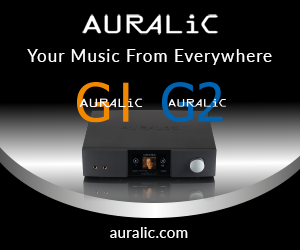 The first comprise for its luscious playback is of course the lack of compatibility with your standard headphone amps, players, etc. 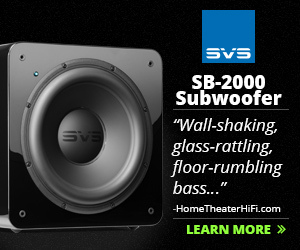 In that regard, the KingSound system featured here is very much a stay-at-home type of gal. Portability is really out of the question, however the headphone itself does feel light and sturdy enough to be carried outside the home if amplification allowed. The good news on the other hand is that this system is really ready to rock straight out of the box, no cables, adaptors or anything else to mess with to get the party started. The M-10 does offer a standard power cable receptacle so fans of those type of upgrades can still get their fix. The vertical stand that comes attached to the amplifier seems sturdy enough, but I would prefer a more horizontal placement, the unit doesn’t seem to offer a comfortable solution in this regard. My final comment would hover around the bass presentation of the H-3. While it is very comfortable, full, and tight it didn’t quite come packed with the slam of the Audeze line that it was directly compared to. 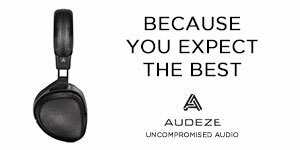 The caveat to that comparison is that the slam of the Audeze line is something that the planar drivers do very very well, so a high bar is set. But all things considered I thought it was still worth mentioning. The H-3 and M-10 combo by KingSound is quite the killer combo. For those interested in electrostatic headphones it offers a very cost efficient way to enter into the field. 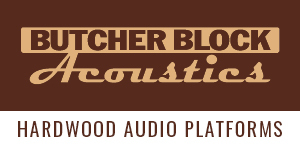 For those just looking for a great sounding headphone rig for their home, the two overachievers offer a great value in terms of both comfort, construct and especially sound quality for the $1k – $1.5k range. 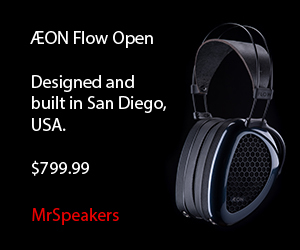 And yes, these guys have the potential to outperform rigs 2x their cost – please pardon the horrible audiophile review cliché. Highly recommended.